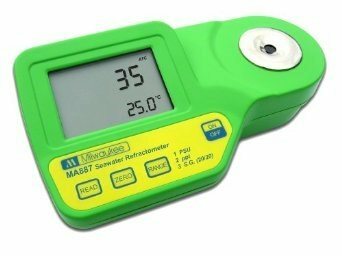 The MA887 Seawater Digital Refractometer is ideal for saltwater aquariums. It encompasses 3 types of user-selected scales of measurement (PSU, ppt, and SG). Features Automatic Temperature Compensation and a large, easy-to-read LCD screen.